Unger Brothers American Art Nouveau Brooch. This is an early 20th Century American Art Nouveau brooch made by Unger Brothers of Newark, NJ (1872-1910/1919). 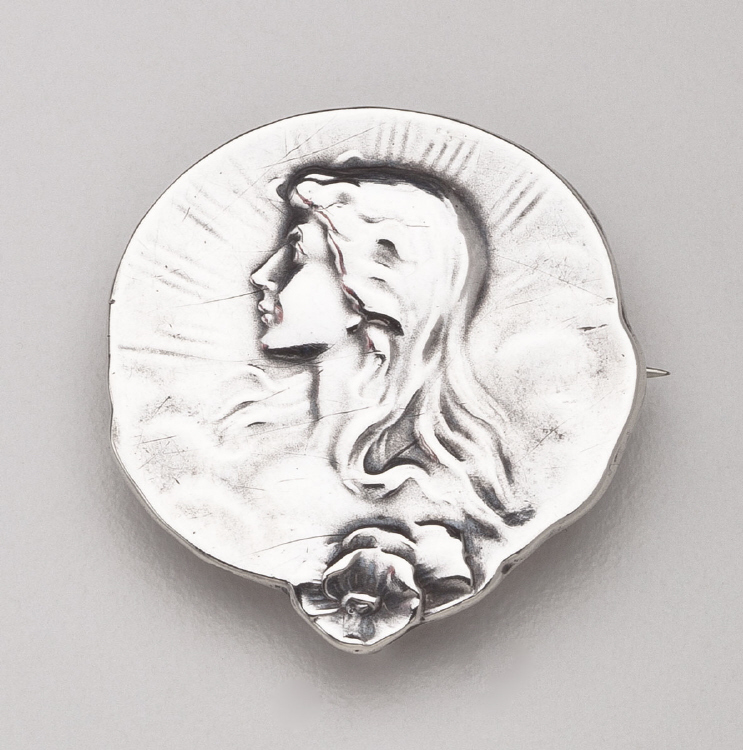 This sterling silver brooch features relief profile of a young woman with flowing hair. The brooch measures 1.125 inches in diameter. 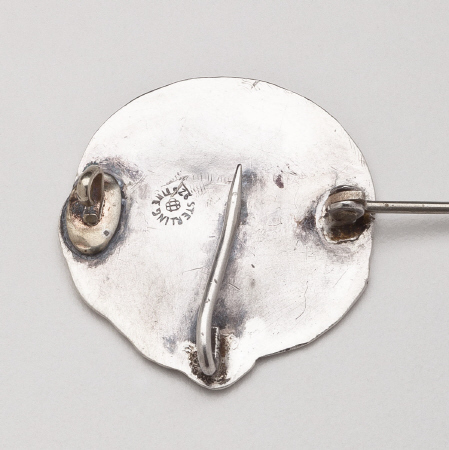 The brooch bears impressed marks for Unger Brothers, Sterling, 925. This brooch is in excellent condition.